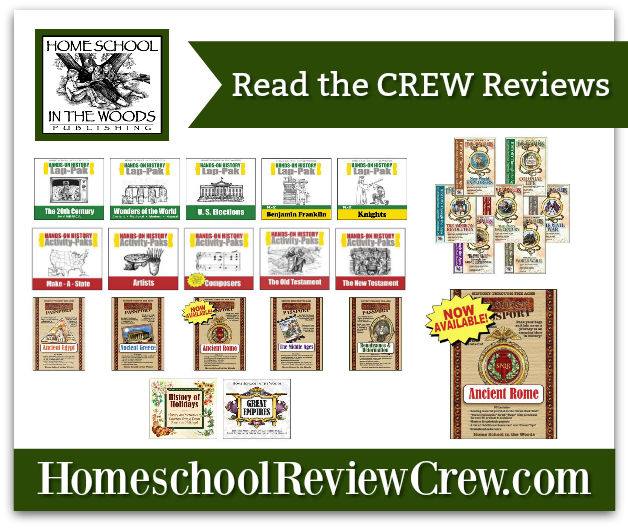 Home School in the Woods has been one of my homeschool favorites ever since I reviewed their Middle Ages Passport Project and the Time Travelers Early 19th Century. 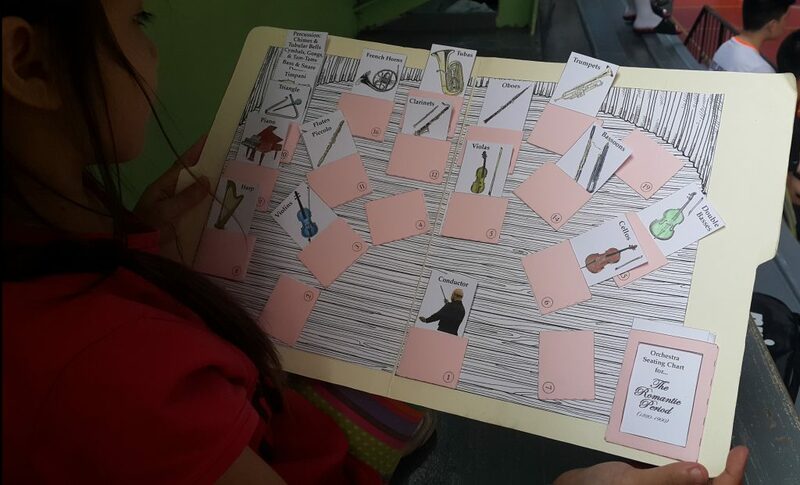 This time, we got to review their Hands-on History Activity-Paks on Composers. Hands-On History Activity-Paks comprise a lapbook on a specific theme, plus a couple of independent (non-lapbook) projects. Our Composer Pak, for example, has a lapbook that features 42 different composers, periods in music, musical vocabulary, and music appreciation. 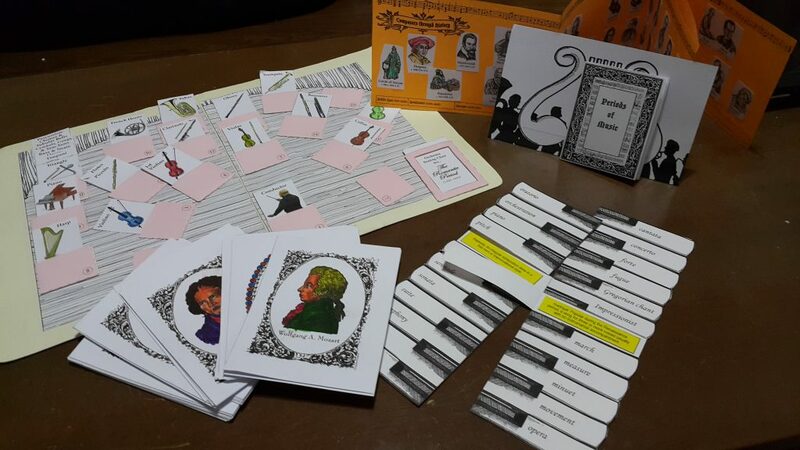 Then we have a Composer Cards set and an Orchestra project. The other Hands-On History Activity Paks are Make-A-State, Artists, Old Testament, and New Testament. We're relatively new to lapbooking,but basically, a lapbook is a visual way to present information learned about a particular topic. It also is interactive in a way, since it's comprised of various paper-based creations that you have to open, fold/unfold, flip, turn, or manipulate in some way to access all the information. Each component is created separately, with specific topics, and then assembled on a folder base. 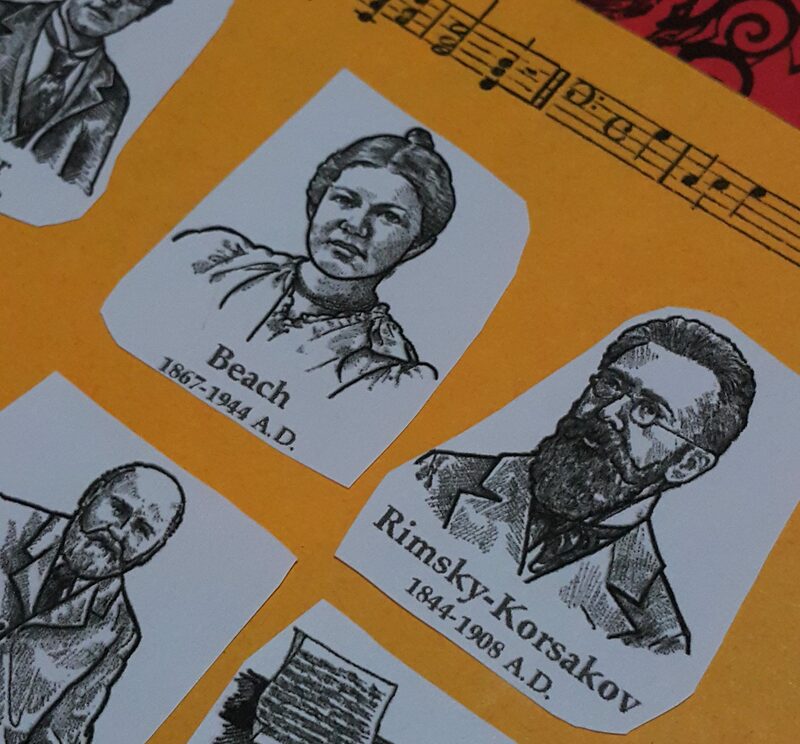 For our Composer lapbook, we have made a timeline, showing the key composers from the Middle Ages to the Modern Period, a piano 'keyboard' in which lifting the keys reveal the definition of musical terms, and a mini book on the periods of music. 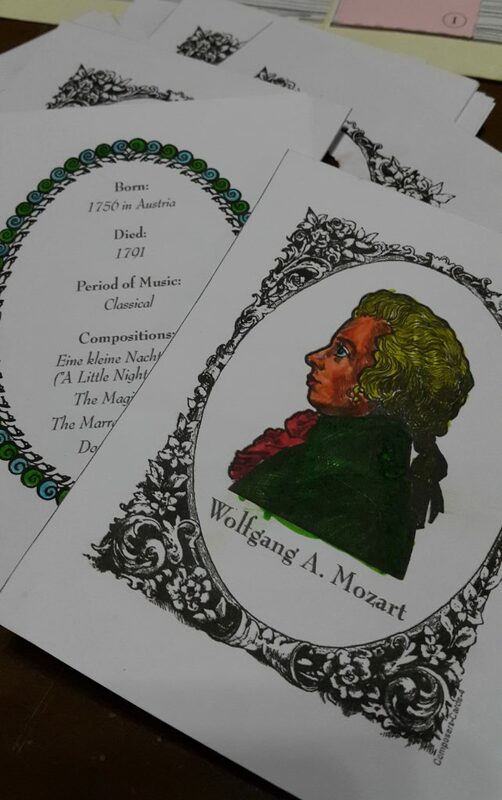 We still have to work on the mini books on each of the 42 composers, and on our music appreciation sheets before we can assemble the final lapbook. 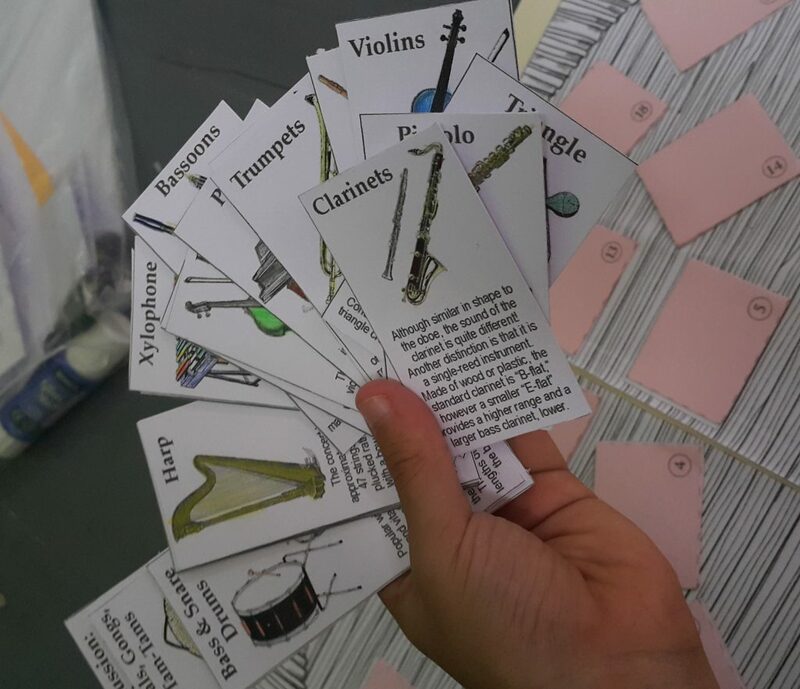 We did, however, complete the standalone orchestra project, and we have made full (gaming) use of the Composer Cards, in a no-holds-barred game of Go Fish. The great thing about completing the lapbook is that the kids (and I) have to process information as we go about creating the different components. Breeze, who completed most of the projects for this review, discovered that there was only one female composer featured in the entire lineup--Amy Beach--as she assembled the timeline for the lapbook. This led to a quick Google search on Amy Beach (wrote her first waltz at age 4!) and a new playlist on Spotify. We also discovered that Vivaldi lived during the Baroque period (not Classical, as I originally assumed), and there seem to be more composers during the Romantic period than any of the others (based solely on the timeline). Both Raine and Breeze enjoyed the Composer Cards set. Aside from the fun of coloring them in, they make for a good game of Go Fish, or maybe even Concentration. 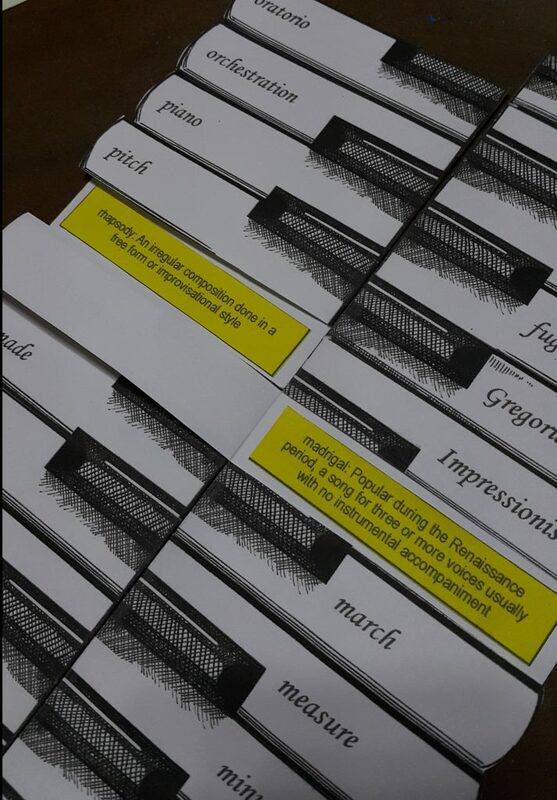 I printed them on sturdy cardstock, with the composers' images and bios on different cards, and not back-to-back. If I printed them back-to-back, then the cards could be used like flash cards. Raine, who is currently taking piano lessons, called dibs on the Keyboard Vocabulary project. She had to read the words and definitions as she pasted each definition strip under the term key, and she encountered two words that really caught her attention: rhapsody and madrigal. The girls have been known to suddenly burst out singing the chorus and various stanzas of Queen's Bohemian Rhapsody, and when she read the definition, Raine exclaimed, "So that's what it means!" I guess given the style of the song, the word made sense to her. 'Madrigal,' on the other hand, is the name of a group of characters in one of the girls' favorite book series, 39 Clues. It's always wonderful to see the look of discovery on their faces as concepts connect. Breeze's pride and joy though is her Orchestra project. 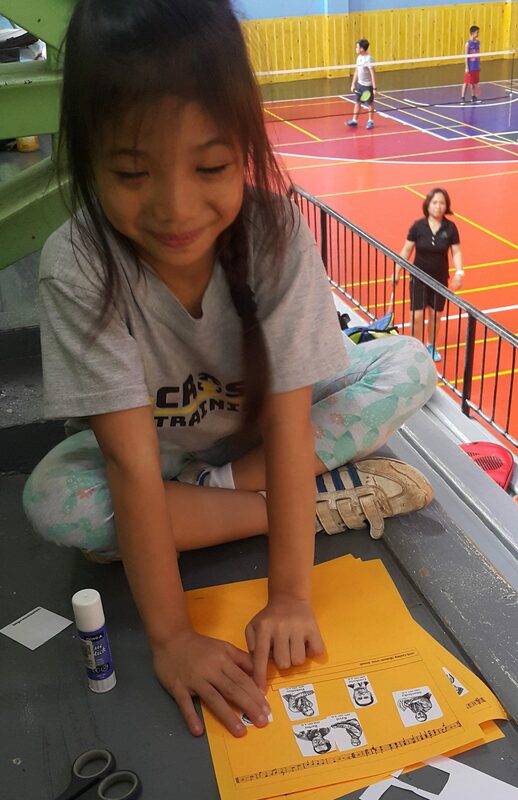 She completed most of the cutting and coloring while we waited for Raine to finish her badminton sessions at the local YMCA. 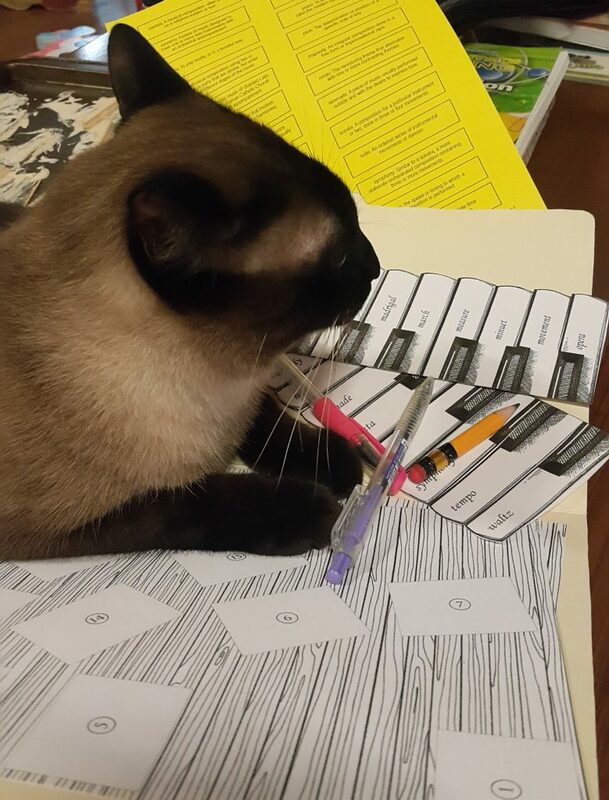 I printed out the various masters for the projects, and packed colored pencils, scissors and glue, and Breeze happily went to work on the bleachers. She also completed the timeline project while we waited. As with the other Home School in the Woods projects, the sheer number of printable PDFs can be overwhelming. I have learned to take my time going through all the Direction PDFs rather than going straight to the printing. I still don't like using the HTML-based start menu that lists all the projects and the required masters, but that is the best way to get acquainted with the projects and materials you'd need. What I do is I give the HTML file a once-over, and then I open the PDFs folder and work from there. I guess I am also finally getting into the groove of the brand, because I am not as confused as I was when we did our very first Home School in the Woods project! I have also learned to control my aversion to printing, because hello. You'll need to print out the masters to get anything done (I still don't print out the directions though). Assembling the lapbook does not look as complicated as I thought, and I am looking forward to getting our components done so we can put our first lapbook together. One minor gripe I have though is that there isn't much information on the composers included! You still have to research the details (though guide questions are available in the mini composer booklet). Talk about the need to be spoonfed! I guess I just was expecting lesson text like in the Passport Project or Time Travelers packs. But other than that (and the huge number of confusing files), we love, love, love Home School in the Woods and our Composer Hands-On Activity Pak. 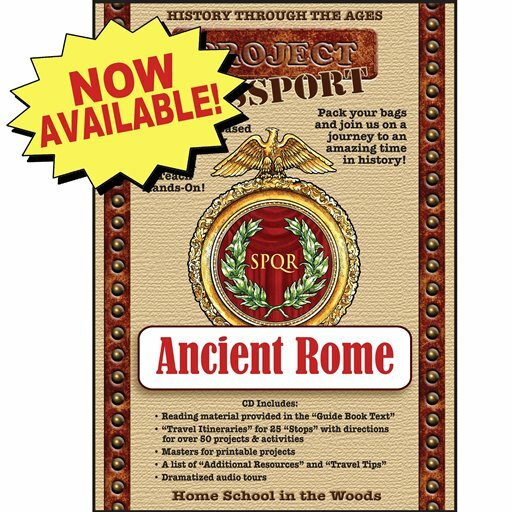 I would love to have more of their products, especially the latest release, Project Passport: Ancient Rome. Bottomline: we love Home School in the Woods forever, and I hope to get all of the Hands-On History Activity-Paks some day. 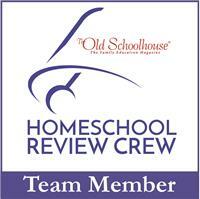 Other families have tried different product lines from Home School in the Woods. Click below to read about their experiences.